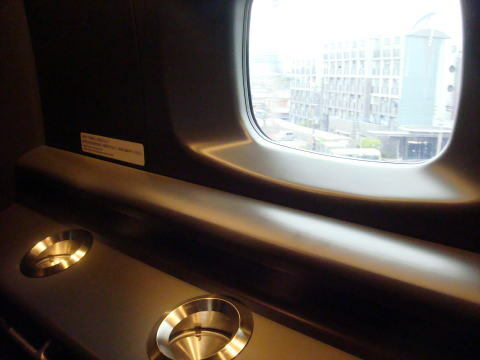 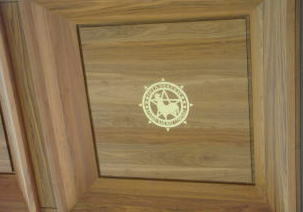 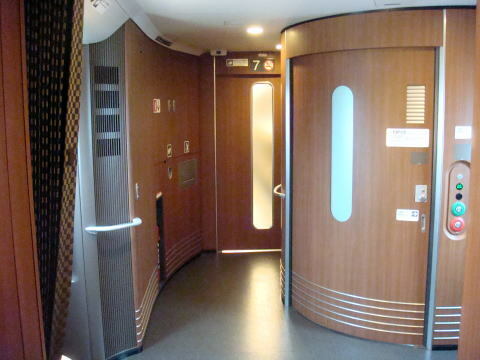 a smoking booth inside a new train, which was jointly manufactured with JR-West. 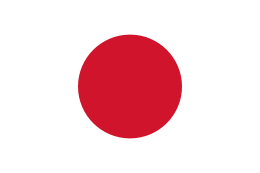 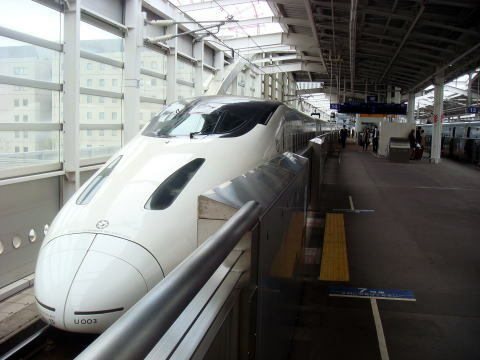 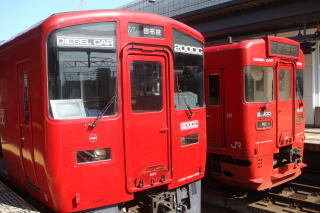 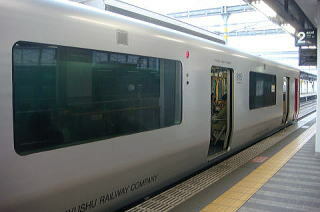 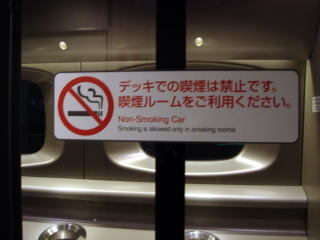 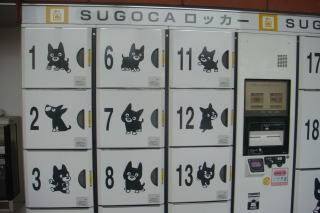 As a result, JR-Kyushu abandoned the policy to forbid smoking inside of the train vehicles. 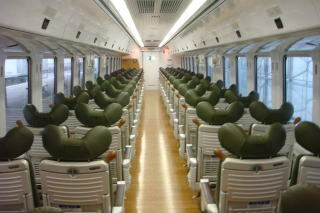 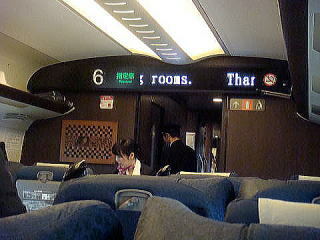 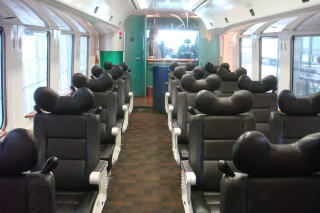 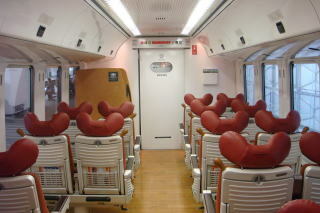 All seats are non-smoking, except for the separate smoking room in the trains. 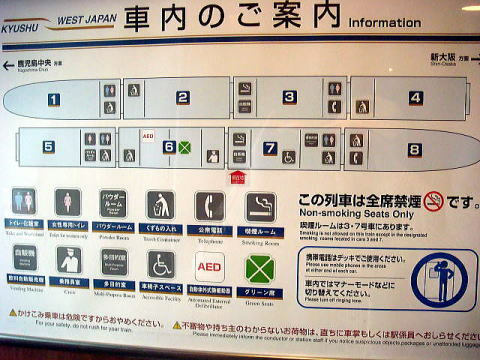 (R) A well-equipped, wide toilet is built in the train for a physically handicapped passenger. 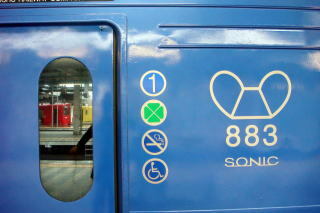 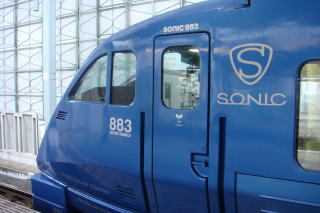 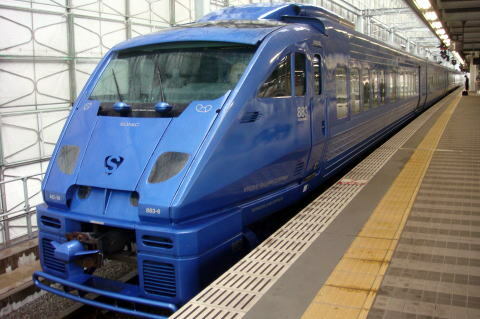 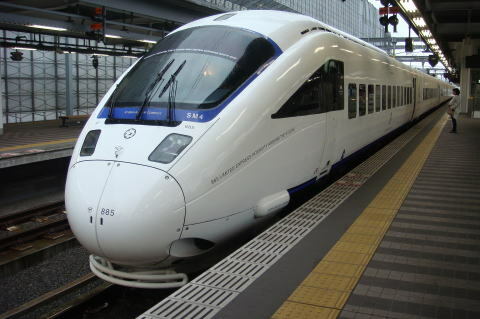 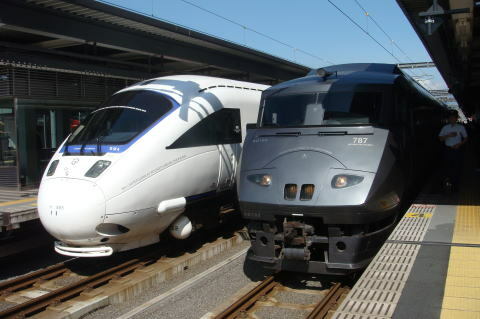 Sonic is the name used by Kyushu Railway Company (JR Kyushu) for the limited express train service operating between Hakata and Oita via Kokura and Beppu along the Kagoshima and Nippo Main Lines in Kyushu. 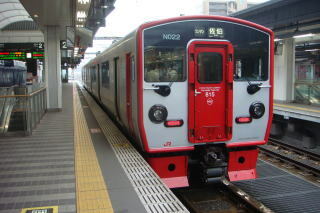 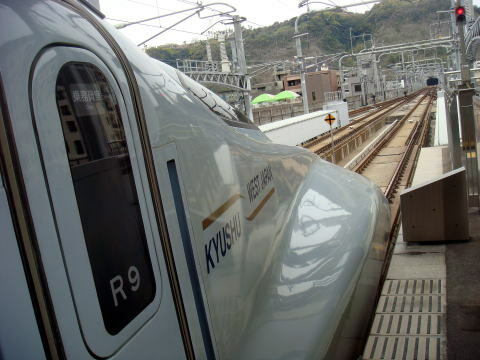 (L) The 885 series 'White Kamome' is operated on JR Kyushu, between Hakata and Oita using the Nippo lines. 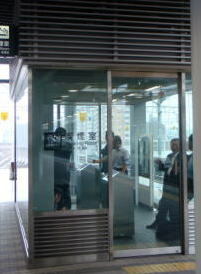 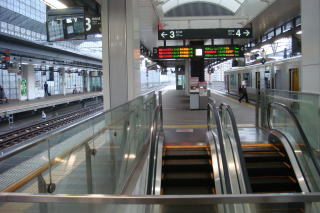 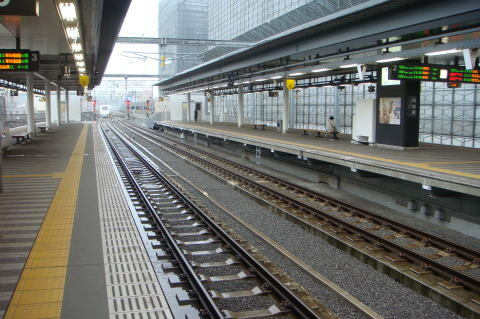 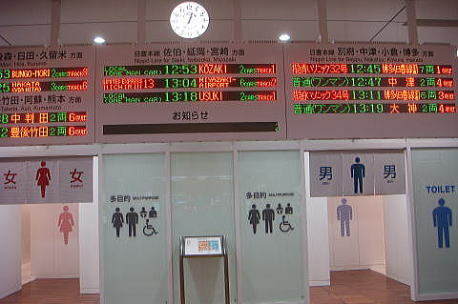 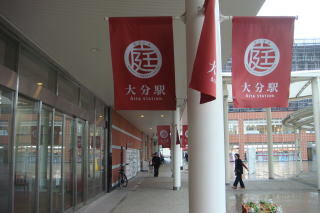 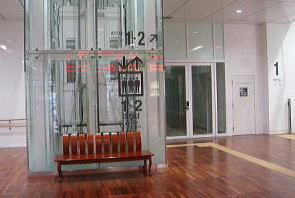 (L) A new sophisticated designed Oita JR station was completed in March 2012.
especially in developing and commercializing its properties, such as train stations. 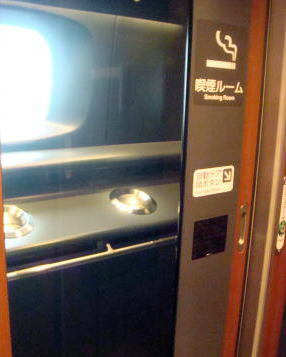 A newly introduced luxury sleeper train prohibits smoking in the vehicle. 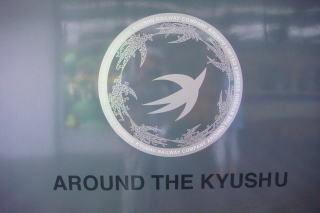 all photography was taken by Dr. Junhaku Miyamoto in April 2012 and May 2014. 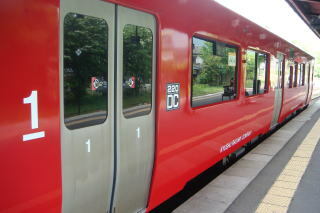 Information on a smoke-free train service was added in April 2017.